This week on Super Adventures I'm spending an hour or so playing last year's Doom! I know it's a new game and there's already a million reviews out there to read, but I played the other three so it seemed cruel to leave this one out. 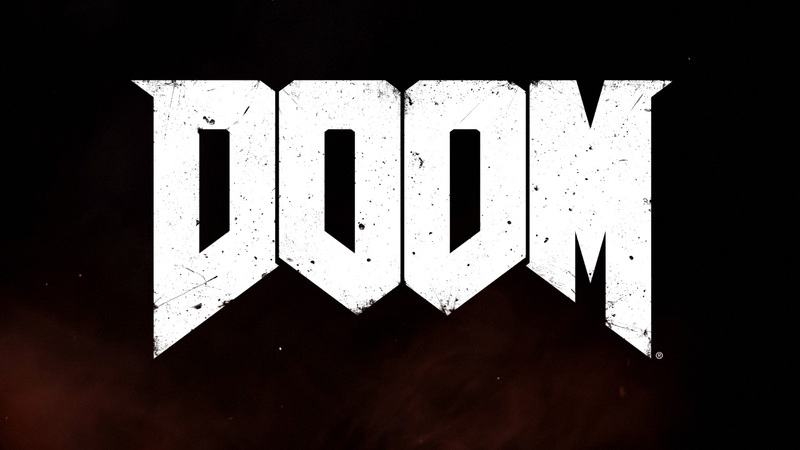 Plus this gives me a chance to go on a rant about them pulling a 'Tomb Raider' with the title, meaning that we have to call the first game 'the original Doom' from now on to avoid confusion. This problem generally wears off over time for movies (no one can even remember that they remade RoboCop or Total Recall) but the trouble with games is that the reboots are often good and you have to acknowledge they exist. There was actually a Doom 4 in development, which was to take place during the demonic invasion of Earth, but it was cancelled on account of it being soulless, heavily scripted and more like the Call of Duty games than Doom. That was in development from 2007 to 2011, then this game sprang from its ashes in 2016. So henceforth it shall be known as Doom 2016. I'm very familiar with the earlier Doom games, but all I've seen of this one so far is the demo. I've been deliberately avoiding reading too much about it just in case it had an actual plot to spoil. Hey if Wolfenstein: The New Order of all sequels can have an emotional thought-provoking story then there's hope for every game series! (Click the pictures to view screenshots at a slightly less pitiful 1280x720 resolution). This week on Super Adventures I'm having a quick look at LucasArts' 1993 point and click masterpiece Day of the Tentacle! Though I'm actually playing the 2016 HD remaster by Double Fine, partly because it's the only version you can digitally download, but mostly because I want to. I played Tim Schafer's latest adventure game the other day, Broken Age, and now I'm going back 20 years to his very first game as project lead! Well, co-project lead, with Dave Grossman. I wish I could say this is all to tie-in with the release of Full Throttle: Remastered today, but honestly I had no idea that'd come out until five minutes ago. The timing's pure serendipity. 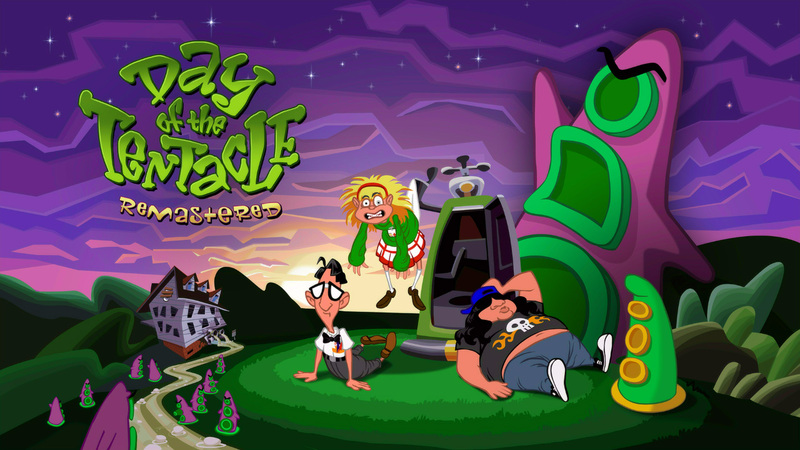 Day of the Tentacle is the third of a trilogy of sequels released during the early 90s, back when LucasArts were the gods of adventure games. After a game inspired by a pirate novel and a theme park ride and another inspired by 30s movie serials, this time they went back to 50s sci-fi horror movies with a sequel to 1987's Maniac Mansion. Though you'd have to really squint to spot the name on the box and it's not written at all on the title screen. I'm not sure I even realised that this was a sequel back when I first played it. Well, until I found the original game hidden inside it in its entirety anyway. Hey I wonder if they remastered that Easter egg too. (Click the screenshots to view them in a slightly more impressive 1280x692 resolution. Which incidentally is the aspect ratio of the original game, minus the box with verbs in it). Today's the 25th anniversary of the Super Nintendo Entertainment System! Except it isn't, because the Super Nintendo came out in North America on August 23rd 1991 and the Super Famicom was released in Japan a year earlier on November 21st 1990. But in the UK we got the system in April 1992, so I'm playing a SNES game to celebrate. 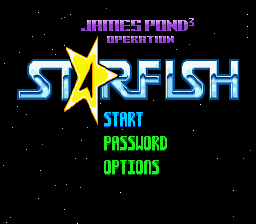 This week on Super Adventures I'm taking a quick look at James Pond³: Operation Starfish! Because what better game is there to celebrate the Super Nintendo than a port of a Mega Drive game that's a sequel to a series strongly associated with the Amiga? There is sense behind my selection though: it's one of the few PAL exclusive titles for the SNES. James Pond 3 is the third of the James Pond games, obviously. Except it isn't, because The Aquatic Games came out before it, which had the aquatic agent competing in various sports. It is the third game developed by creator Chris Sorrell though, and the last, as crappy iPhone game James Pond in the Deathly Shallows was allegedly crafted by a finite number of evil monkeys. Alright I'm going to play it for a few hours without reading the manual, quit when it gets difficult, and then write a review at the end like my brief experience with the game makes me an expert. Same deal as usual. This week on Super Adventures I'm taking a quick look at another movie tie-in! I hope it's better than that Stargate platformer I played a while ago. Though it will be a platformer, there's no doubt of that. 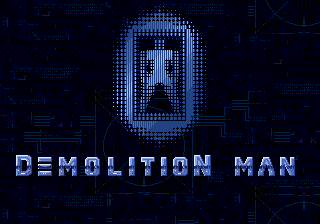 Demolition Man is a apparently one of just three games developed by Alexandria before they vanished in late 1995, with the others being Sylvester and Tweety in Cagey Capers... and Izzy's Quest for the Olympic Rings, which I wrote about way back in the days when I didn't write much. In fact I kind of sucked and so did that game. Speaking of 1995, that's also the year that the game was released, which is pretty late for a 16-bit console game, especially one that's based on a 1993 movie. They weren't exactly striking when the iron was hot there. In fact if it'd come out any later then the dystopian future levels would actually be set in the past. By the way I'm playing the Mega Drive/SNES Demolition Man not the 3DO game, which is one of those variety pack licensed film tie-ins that keep switching genre and are invariably terrible. Though it does have the genuine movie soundtrack and includes FMV clips of Sylvester Stallone, Wesley Snipes and Jesse Ventura filmed exclusively for the game! The Mega Drive and SNES versions, on the other hand, don't. But what they do have is a title that literally explodes onto the screen letter by letter in little bursts of flame before a synthy guitar riff plays, and that's cool too.